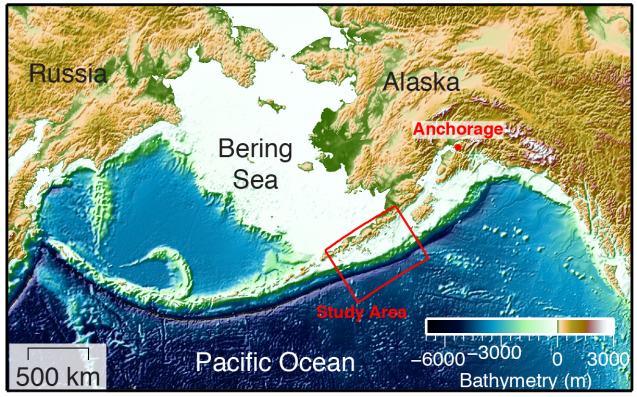 The discovery “suggests this part of Alaska is particularly prone to tsunami generation,” said seismologist Anne Bécel of Columbia University’s Lamont-Doherty Earth Observatory, who led the study. 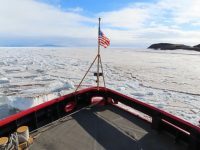 “The possibility that such features are widespread is of global significance.” In addition to Alaska, she said, waves could hit more southerly North American coasts, Hawaii and other parts of the Pacific. The 2011 Japan tsunami was a surprise, because it came partly on a “creeping” segment of seafloor, where the plates move steadily, releasing tension in frequent small quakes that should prevent a big one from building. But researchers are now recognizing it may not always work that way. Off Japan, part of the leading edge of the overriding continental plate had become somewhat detached from the main mass. When a relatively modest quake dislodged this detached wedge, it jumped, unleashing a wave that topped 130 feet in places. The telltale sign of danger, in retrospect: a fault in the seafloor that demarcated the detached section’s boundary landward of the “trench,” the zone where the two plates initially meet. The fault had been known to exist, but no one had understood what it meant. “With that big fault there, that outer part of the plate could move independently and make a tsunami a lot more effective,” said Shillington. “You get a lot more vertical motion if the part that moves is close to the seafloor surface.” A rough analogy: imagine snapping off a small piece of a dinner plate, laying the two pieces together on a table and pounding the table from below; the smaller piece will probably jump higher than if the plate were whole, because there is less holding it down. 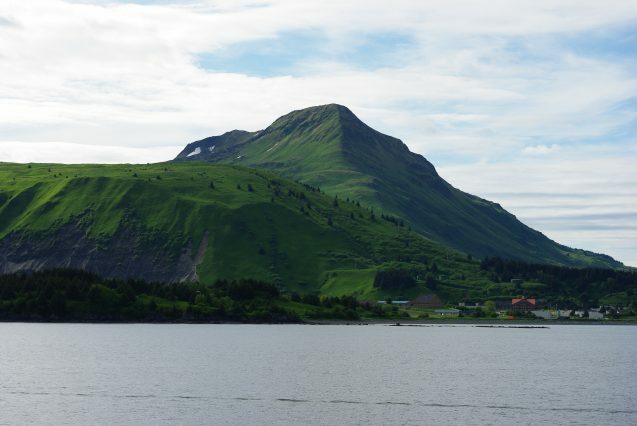 The authors say that apart from Japan, such a fault structure has been well documented only off Russia’s Kuril Islands, east of the Aleutians. But, Shillington said, “We don’t have images from many places. If we were to look around the world, we would probably see a lot more.” John Miller, a retired USGS scientist who has studied the Aleutians, said that his own work suggests other segments of the arc have other threatening features that resemble both those in the Shumagin and off Japan. “The dangers of areas like these are just now being widely recognized,” he said. Lamont seismologists have been studying earthquakes in the Aleutians since the 1960s, but early studies were conducted mainly on land. In the 1980s, the USGS collected the same type of data used in the new study, but seismic equipment now able to produce far more detailed images deep under the sea floor made this latest discovery possible, said Bécel. 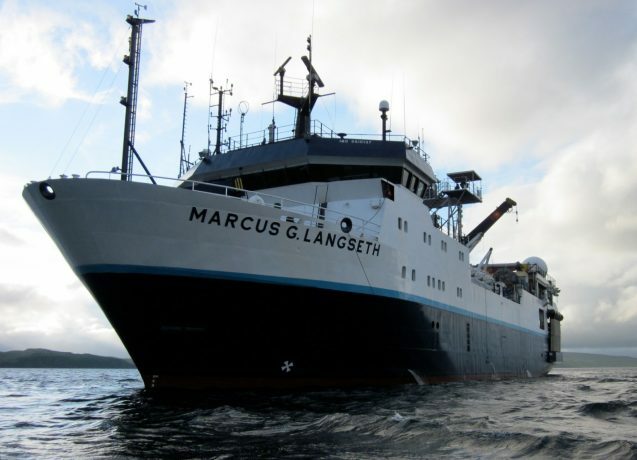 She and others conducted the imaging survey aboard the Marcus G. Langseth, the United States’ flagship vessel for acoustic research. Owned by the U.S. National Science Foundation, it is operated by Lamont-Doherty on behalf the nation’s universities and other research institutions. 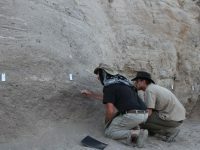 The other coauthors of the study are Spahr Webb, Mladen Nedimovic and Jiyao Li of Lamont-Doherty; Matthias Delecluse and Pierre-Henri Roche of France’s PSL Research University; Geoffrey Abers and Katie Keranen of Cornell University; Demian Saffer of Penn State; and Harold Kuehn of Canada’s Dalhousie University.